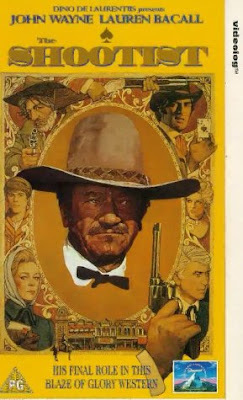 In John Wayne's last film, The Shootist, a young man portrayed by Ron Howard asked the old, dying gunfighter why he had been in so many gunfights in his life. The Duke replied that he lived by a code (see above). Great film, great performance by John Wayne, and not a bad code to live by. Note: You can click on the above two photos to enlarge.